Kylie has worked at the intersection of mainstream capital markets, impact investment and philanthropy since 2004 when she joined the team at Unitus Labs to lead their capital markets initiative. During her time at Unitus Labs, Kylie facilitated the delivery of growth capital for microfinance institutions across seven emerging countries and was instrumental in the launch of the Unitus Equity Fund, the first commercially focused microfinance equity investment fund. In 2008, Kylie co-founded Unitus Capital on the basis of this work and a commitment to mobilising capital to enable the success of businesses providing innovative market based solutions to environmental and social challenges. In her home country of Australia, Kylie has been a key contributor to the development and growth of its impact investment sector. Her work in Australia includes authoring submissions and participating in round tables for commissioned studies of the Australian Government in regard to the development of the market for impact investment; consulting to and serving as an ex-officio committee member for the Australian Government in regard to Social Enterprise Development and Investment Fund (SEDIF); and co-authoring the feasibility assessment study and surveying investor appetite for the NSW Social Benefit Bonds (also referred to as social impact bonds) issued in 2013, which were the first in Australia and among the first in the world. Kylie is the Chief Investment Officer for Australian Impact Investments, a Venture Partner to the Giant Leap Fund – the first venture capital fund in Australia dedicated to impact businesses and an investment committee member of the Indigenous Real Estate Investment Trust. 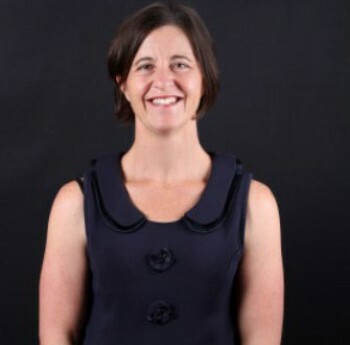 She also lectures on impact investment for the University of New South Wales and University of Western Australia. Prior to transitioning her career to impact investment, Kylie was Vice President in the Project and Structured Finance Group of Citigroup, with more than 10 years experience in commercial and investment banking in New York and Sydney. Kylie graduated in Commerce (Banking and Finance) at University of Canberra and has an MBA from the Saïd Business School at the University of Oxford in England.